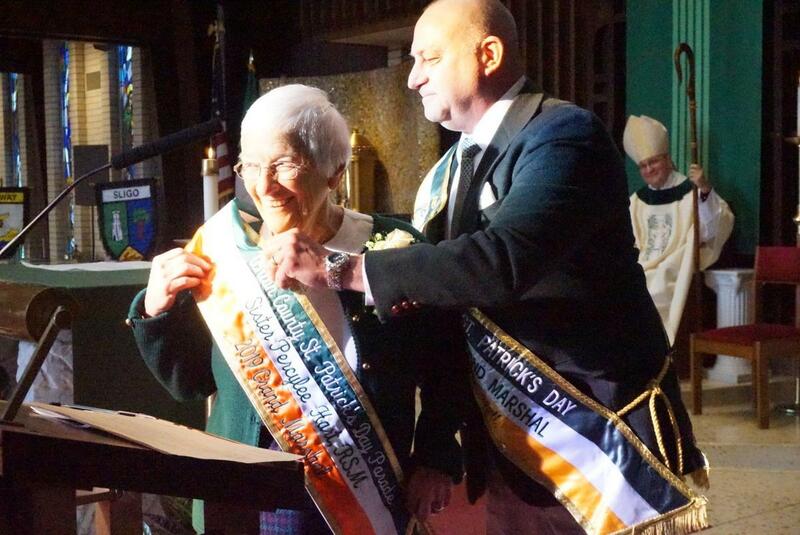 Union Catholic Principal Sister Percylee Hart, RSM, was officially installed as the 2019 Union County Saint Patrick’s Day Parade Grand Marshal during the parade committee’s annual Investiture Mass this past Saturday at Immaculate Heart of Mary Church in Scotch Plains. The Mass was celebrated by Bishop James Massa, a 1978 graduate of Union Catholic and the Auxiliary Bishop of the Diocese of Brooklyn. 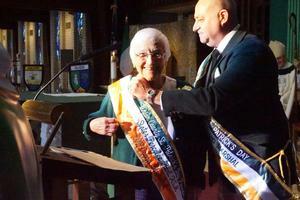 Mr. Frank McGovern, who has served in the past as Grand Marshal and Parade General Chairperson, served as the Master of Ceremonies. 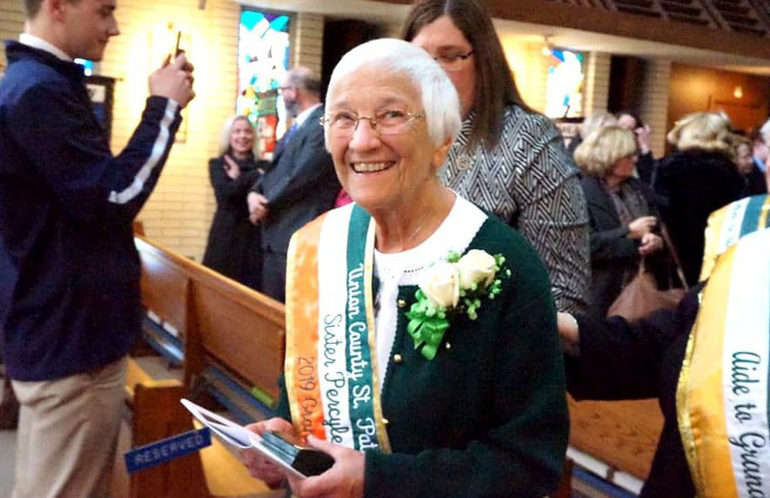 When Sister Percylee was presented with the Grand Marshal sash by 2011 Grand Marshal David Bell, she received a big ovation from the Union Catholic Community that filled the pews. Sister Percylee has chosen Dr. Jim Reagan Jr. as her Chief of Staff. Her other aides include: Noreen Andrews, Barbara Dellanno, Jennifer Dixon, Susan Dyckman, Sister Lisa Gambacorta, Sister Elaine McAteer, Dr. Karen Piasecki, James Reagan Sr., Sister Donna Jo Repetti, Joe & Karen Schurtz, Sister Ann Sullivan, Dave & Betsy Thornton, Marge Urso, Father Michael Ward, Mary Ellen Wischusen, Anne & Bob Wischusen, and Sister Alice Yohe. 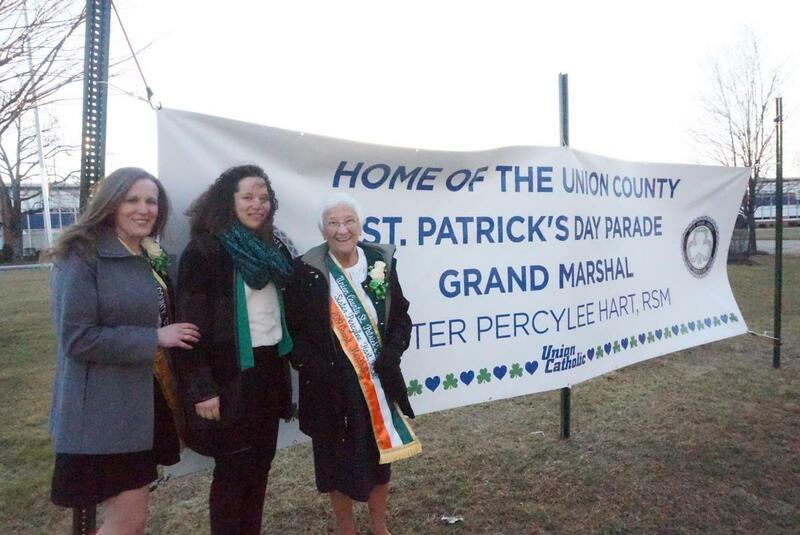 The 23rd Annual Union County St. Patrick’s Day Parade will step off at 1:00 p.m. sharp on Saturday, March 16, 2019, on Morris Avenue in Union, NJ. 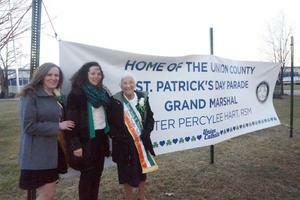 For more information, visit www.unioncountystpatricksdayparade.com. 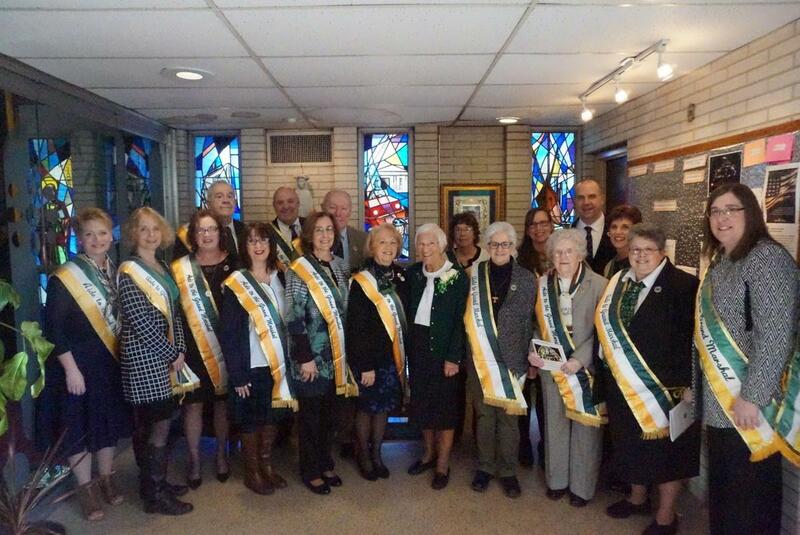 Also during Saturday’s Mass, Jessica Cunningham, the 2019 Parade General Chairperson, and Kerry Ricci, the 2019 Parade Adjutant, were presented with their sashes. Cunningham said the selection of Sister Percylee Hart as Grand Marshal wasn’t very difficult. 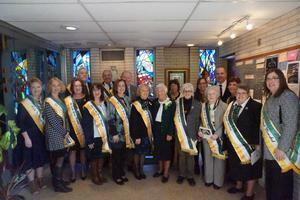 Sister Percylee Hart has served as Principal of Union Catholic High School since September 1980. Her determination upon becoming Principal allowed for the successful merger of the Union Catholic Girls and Boys Schools. Sister Percylee has been the catalyst for every major advance that the school has made in the past 38 years. Her progressive initiatives have positioned Union Catholic as one of the premier Catholic high schools in the state. 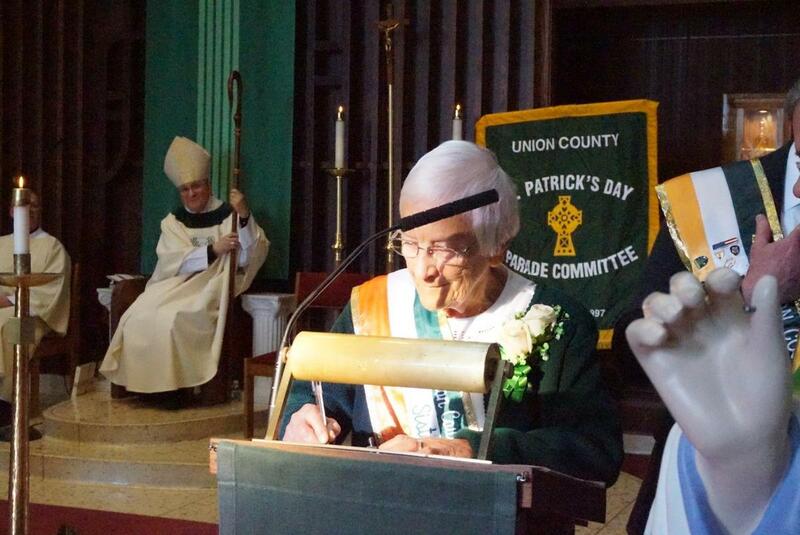 Prior to UC, Sister Percylee was the Principal of Red Bank Catholic High School from 1970-1980. She has served as a member of the Advisory Committee and the Controversies Committee of the New Jersey State Interscholastic Athletic Association (NJSIAA); is Past President of the Newark Archdiocese Regional Principals Association; and is Trustee Emerita at Georgian Court University, her alma mater. Sister Percylee holds a Masters of Public Administration Degree from Seton Hall University and a Master of Science Degree from the University of Pennsylvania. She is a member of the National Catholic Educators Association and the National Association of Secondary School Principals. 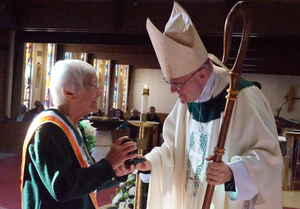 Sister Percylee was inducted into the Union Catholic Hall of Fame in 2012 and the Red Bank Catholic Hall of Fame in 2017, and received the Union County Women of Excellence Award in 2001 by the Union County Commission on the Status of Women. 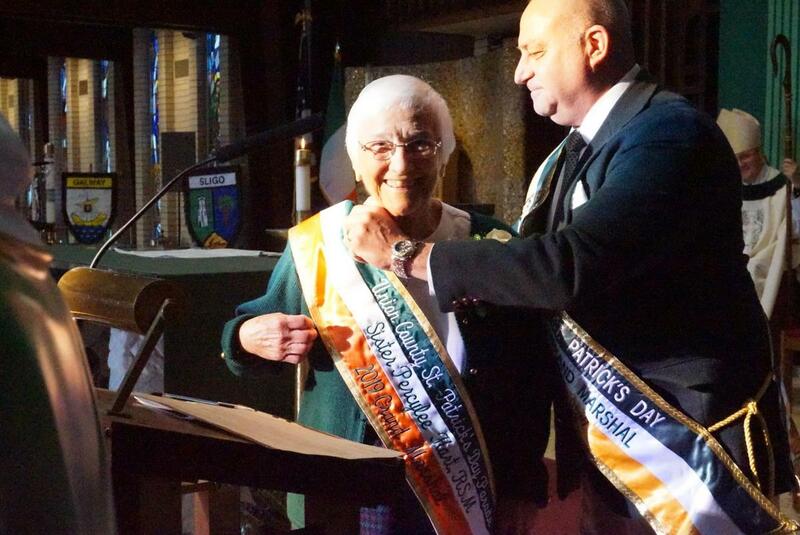 Sister Percylee’s Irish roots trace back to the early 1800’s. Her maternal grandfather, John Smith, was born and raised in County Sligo. He immigrated from Ireland to the US in the late 1800’s where he found work in the Armory, traveling across the country.